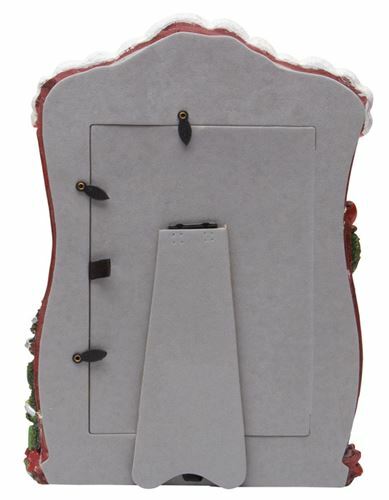 • Changing-color LED lights surround each frame when you turn it on. • Frames include a protective by a glass cover. • Takes just 2 AA batteries (not included). 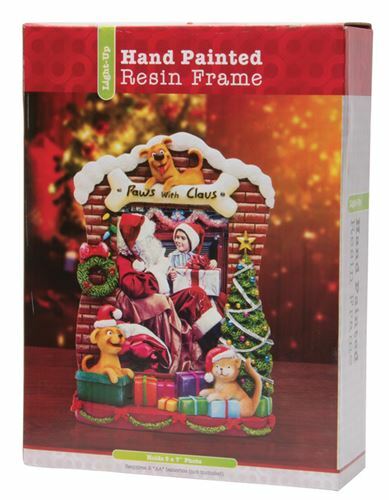 • Each picture frame includes a colorful box. • Each resin frame is hand-painted. 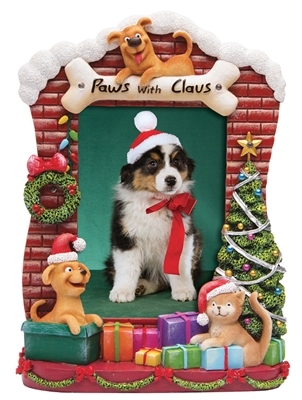 Each frame has dogs and cats with a Christmas tree and presents. Changing-color LED lights surround each frame when you turn it on. Frames include a protective by a glass cover.